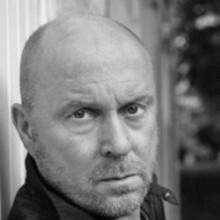 He has a wide array of acting and voice-over experience, and has appeared in some of Scotland’s most celebrated feature films; including Bafta winning ‘Crying With Laughter’ and Peter Mullan’s multi award winning ‘NEDS’. He has also appeared in acclaimed television shows such as, ‘High Times’ and ‘Stacked’, as well as numerous short and independent projects. More recently he’s been working in theatre with a leading role in a Glasgow comedy play ‘Dirty Water’, with over 30 shows including 19 at the Edinburgh Fringe Festival.